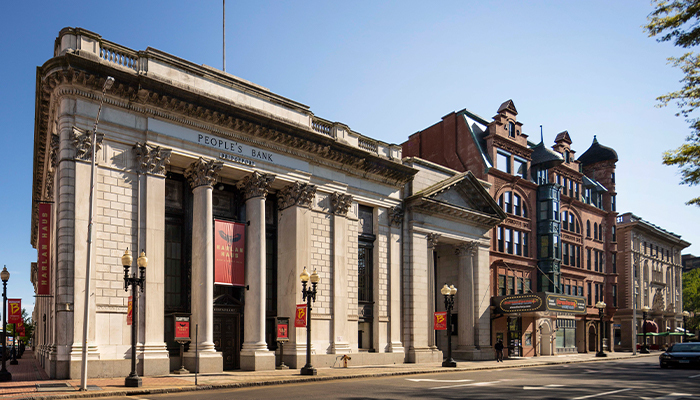 The McLevy Square involved the renovation and conversion of two former bank properties, part of a ‘Downtown Renaissance’ being championed by the city. 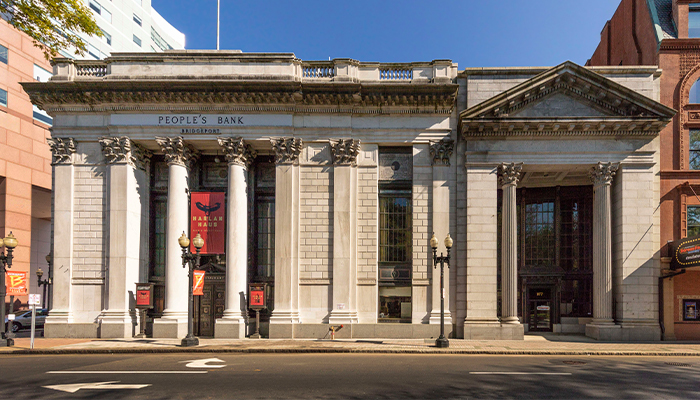 The first initiative involved infrastructure work to a former People’s Bank located at 155 State Street. 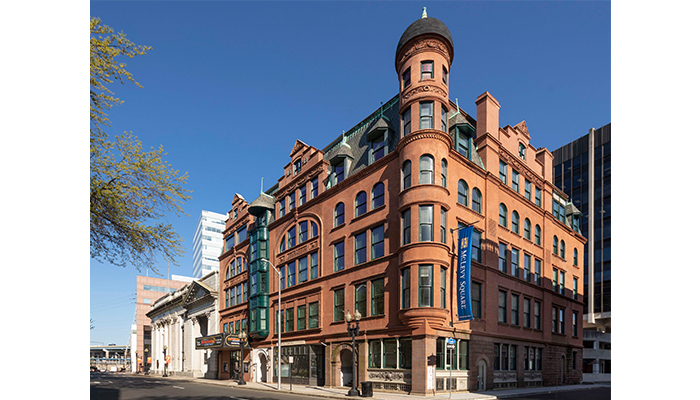 The second phase of the $18 million project resulted in 18,000 sf of first floor space that includes a comedy club, retail and office space – some of which is currently occupied by Forstone Capital, the buildings’ owner. 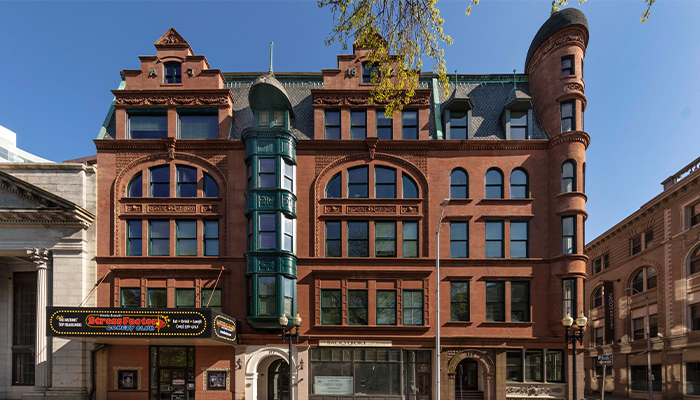 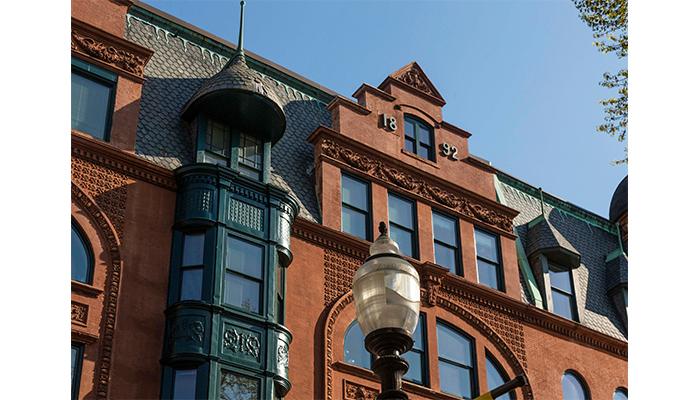 By merging upper floors in the building, 32 one- and two-bedroom apartments were created which overlook onto McLevy Park.